To join our accompanied choir, Nova, all you have to do is sing in tune – we can teach you the rest! Our Musical Director will audition you and place you in the appropriate section for your vocal range. You don’t need to be a “trained” singer or be able to read music. We would only like you to sing along with your section. If you’re an experienced singer, we also welcome you to join Grace Notes, our a-cappella group. The Hong Kong Women’s Choir performs twice a year (Spring and Winter) and auditions are held at the start of each season. At present, Nova (the accompanied choir) rehearsals are on every Tuesday (7.30pm – 9.30pm) or Wednesday (11am – 1pm), starting from early September to December for the Winter season; and from January to May for the Spring season. Rehearsals of each season will culminate in public performances and charity concerts for Christmas and at the end of May. Members can go to either Tuesday or Wednesday or both rehearsals depending on their schedule. Nova rehearsals are mainly held at Sheung Wan Civic Centre. 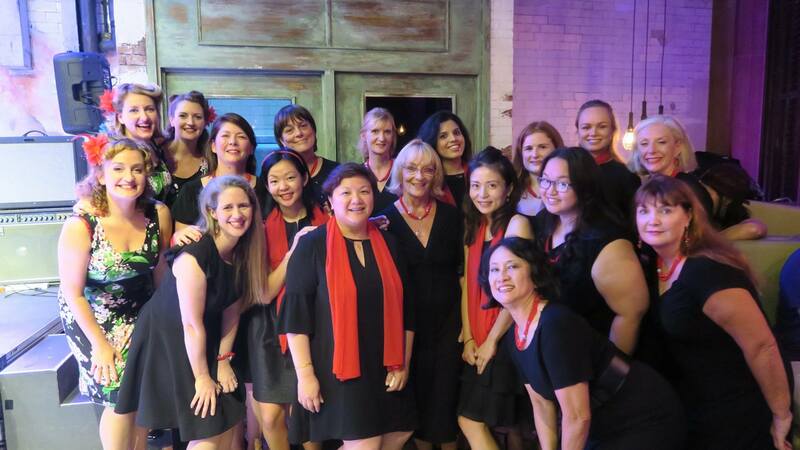 For ladies with more experience, who can sing a-cappella (without piano accompaniment), and like to have a musical challenge, they can join Grace Notes, a group of 12-16 ladies who perform in close harmony. Grace Notes practices independently from Nova, and presently practices every Monday evening at Flower Music Studios also in Sheung Wan. There is a subscription fee payable at the beginning of each season, which is valid for all sections of THKWC. There is also a small uniform fee to be paid. *By submitting your information above, you agree to THKWC in using your information for essential internal choir communications. Your information will not be passed onto 3rd parties. For further information please feel free to contact us via email to info@thkwc.org.